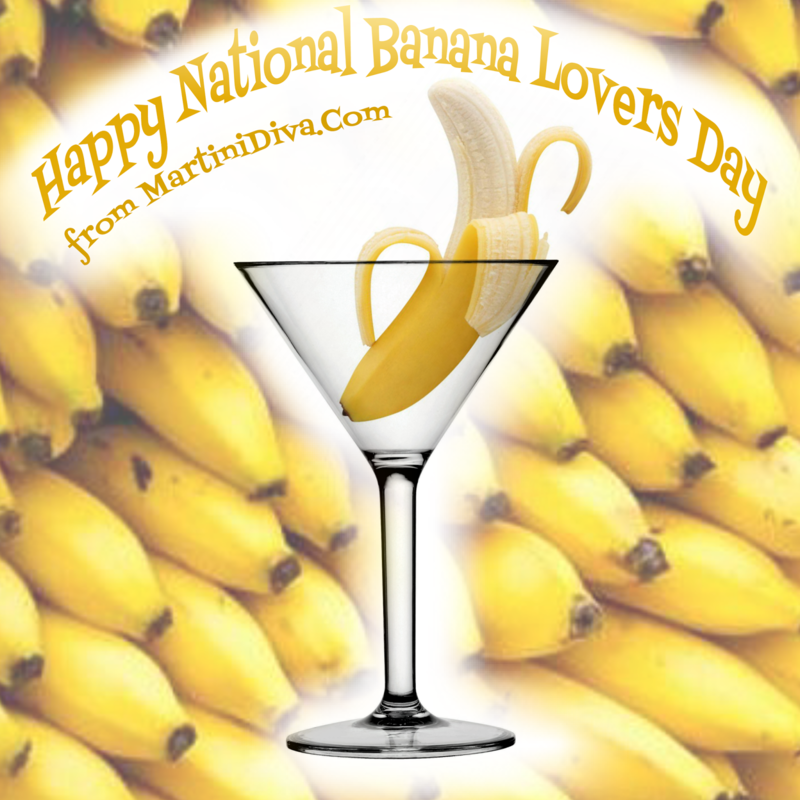 TODAY IS NATIONAL BANANA DAY - Fill Your Martini Glass With One of these BANANA MARTINIS! August 27th is the perfect day to go a little bananas since it's National Banana Lovers Day. Sure, you can celebrate by doing a lot of crazy things or, better yet, you can toast to the occasion at Happy Hour with one of my delicious Banana Cocktails. There are over 1000 varieties of banana plants, but most of the fruit is not very tasty. The banana is a berry!!! Okay, enough education for the day, go forth and banana-ize yourself with one of my lovely Banana Martinis!